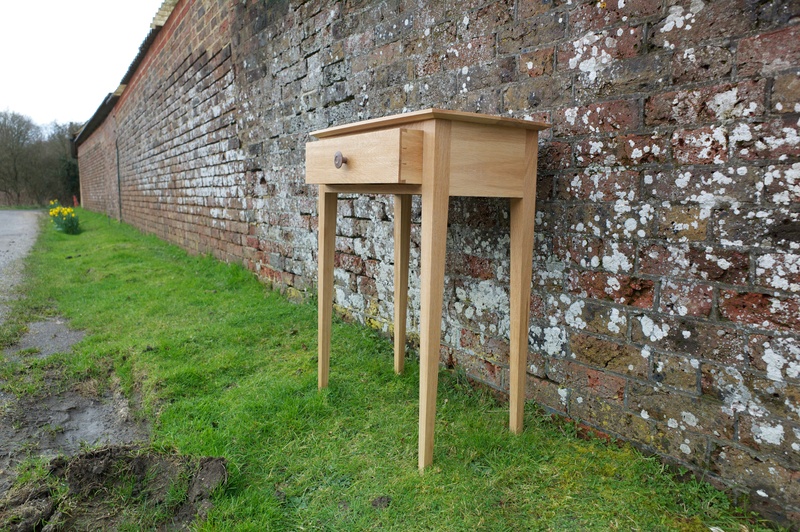 After many hours of beavering away I am so proud to offer the first piece from Petrel Furniture up for auction. This is your chance to own a fine, handcrafted table, please place your bids in the comment section at the bottom of the post. Up for grabs is a stunning English oak console table that would be perfectly at home in the hall or as a lamp table by the side of the sofa. It is influenced by the Biedermeier period (1815 - 1848) which was an influential period of design that promoted simplicity and clean lines. What are you bidding on? 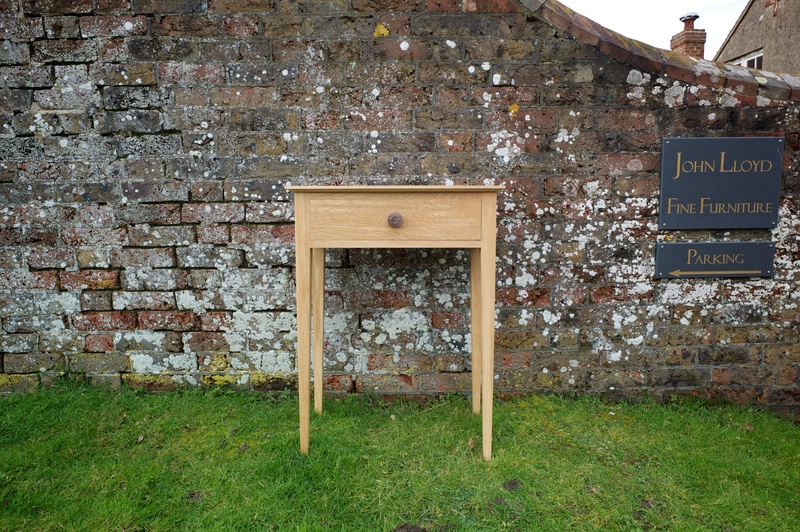 A solid English Oak console table with a drawer, elegant curved top and beautiful tapered legs. The top is inlayed with a fine line of American Black Walnut which is complemented with a matching hand-turned drawer pull. 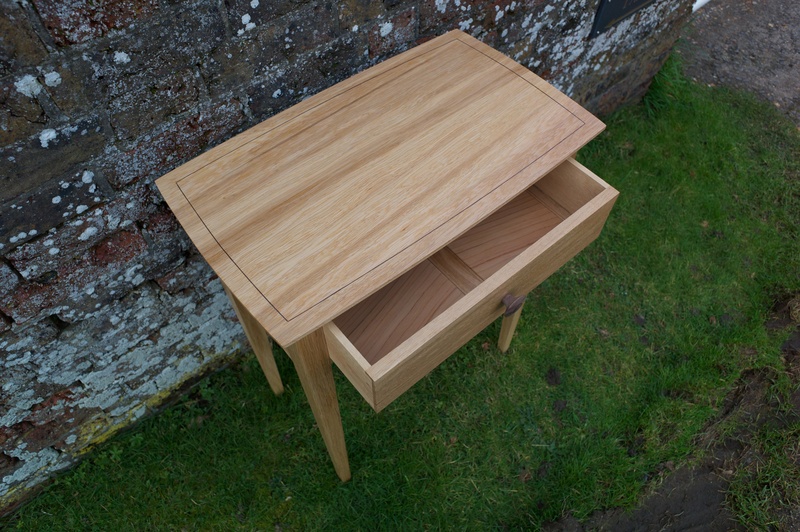 The drawer has hand cut dovetails and is lined with Cedar of Lebanon which gives the most beautiful aroma. Oak ages most gracefully, the table will get richer and deeper in colour with age. How to Bid: If you are interested in having this fine table for your very own simply post your bid in the comment section below. I am offering this at a reserve price of £250 which is basically cost, please bid with minimum increments of £5. A table of this quality would normally have a price tag of at least £800. When you bid you will be asked to enter your email address and name this information will not be shared with any third party. Auction Deadline: The auction will run for one week ending at 7pm on Tuesday 11th March, the highest last posted bid at that point will win the table. Shipping costs: Are included in the reserve price for UK delivery, I will deliver direct to a greater London address in exchange for a cup of tea and a biscuit. This is a great opportunity not only to bid on a wonderful piece of furniture that has been lovingly handmade but also support a young fledgling business. 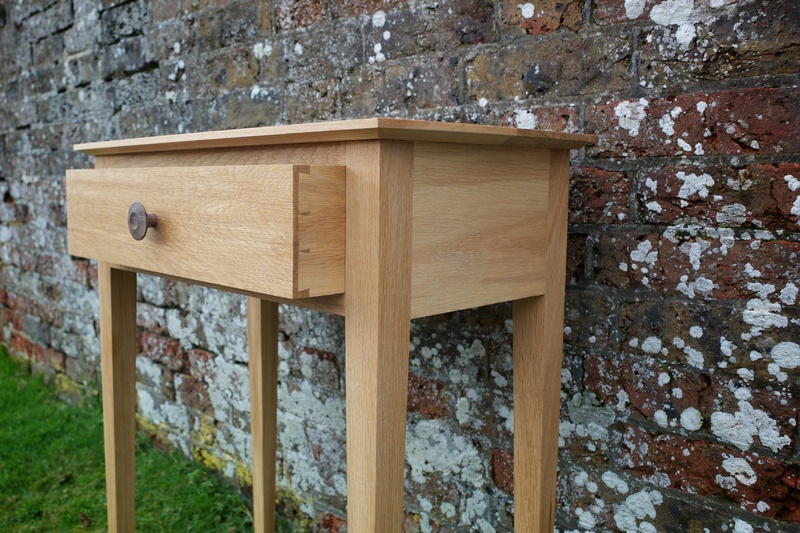 Petrel Furniture is dedicated to producing fine handmade furniture combining traditional skills and sensitive design. Thank you for your generous support and happy bidding.